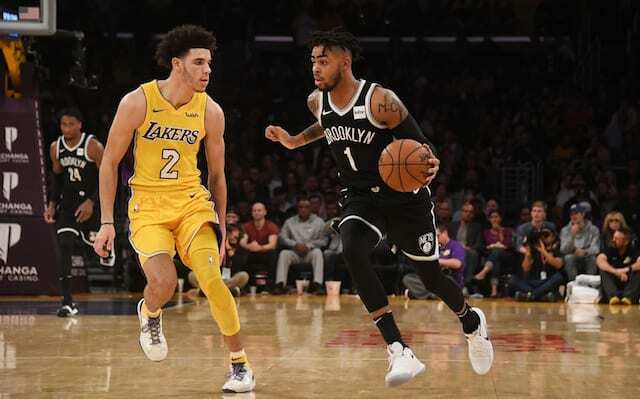 Lakers Recap: Brook Lopez Steals The Show Against Former Team In D’Angelo Russell’s Return To L.A.
Up until this point, the Los Angeles Lakers had gone through their first seven games of the season without any significant injuries. 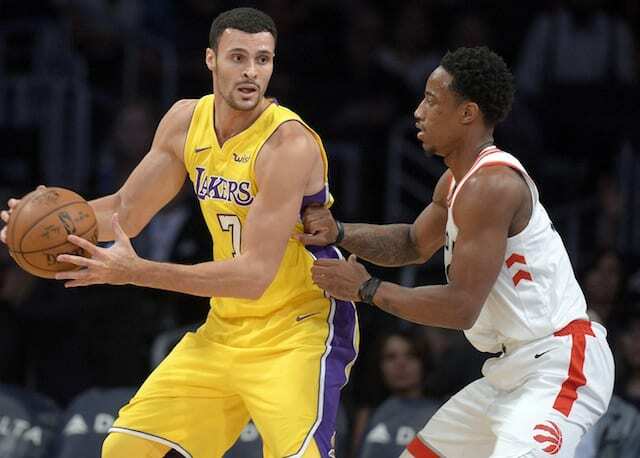 That changed Thursday night against the Portland Trail Blazers though, as starting power forward Larry Nance Jr. left the game in the third quarter with a hand injury that was later diagnosed as a fractured second metacarpal in his left hand. Sources: Lakers forward Larry Nance Jr. undergoing surgery on fractured left hand today, with early expectation he'll miss 4-to-6 weeks. Playing without Nance will be difficult for this young Lakers team, as he was the glue guy in the starting lineup who did all the little things, particularly on the defensive end of the floor. 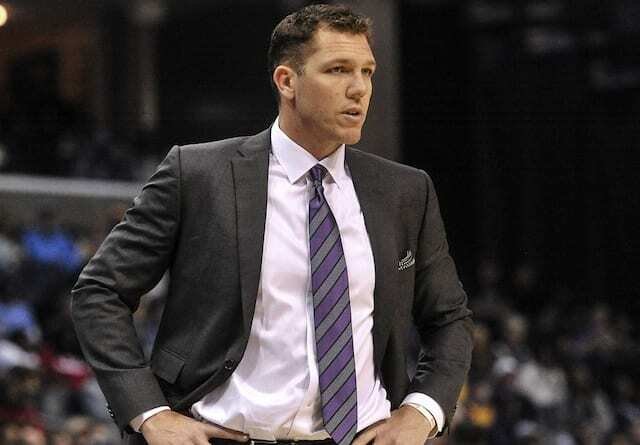 Luckily for the Lakers though, power forward is their deepest position as they have both Julius Randle and Kyle Kuzma backing him up, so one of them could easily be plugged into the starting rotation in his absence, although it’s currently unknown who head coach Luke Walton plans to go with. 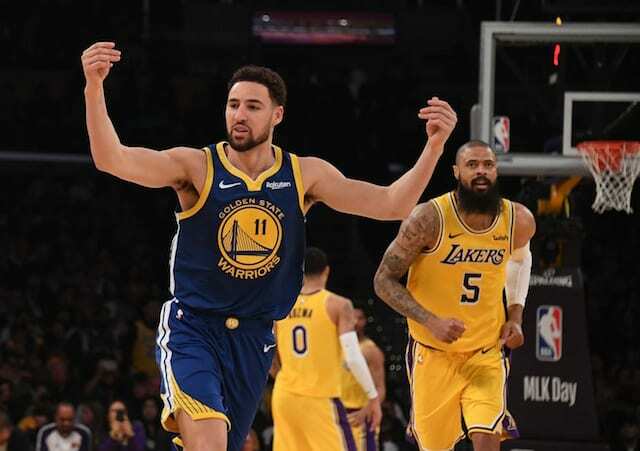 Nance was off to the best start in his three seasons with the Lakers, averaging 10.6 points, 7.5 rebounds and 1.5 steals while shooting 61.4 percent from the field in 23.1 minutes per game, all of which would be career-highs. 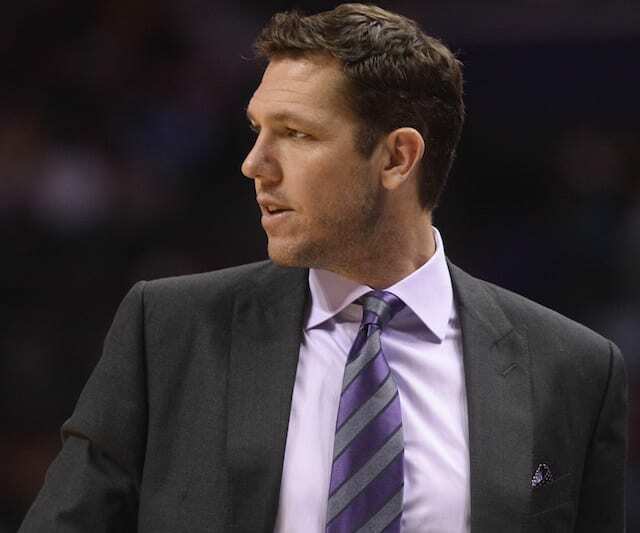 4-6 weeks would mean that Nance is able to return around mid-to-late December.